U.S. Africa Command (AFRICOM) maintained that its airstrikes only target al-Shabaab, stressing that American military operations have killed no civilians. The terrorist group and Amnesty insist that the American airstrikes, carried out by manned aircraft and drones, have indeed killed civilians. The civilian death toll  we’ve uncovered in just a handful [five] of strikes suggests the shroud of secrecy surrounding the US role in Somalia’s war is actually a smokescreen for impunity. In a report titled The Hidden US War in Somalia, Amnesty alleged that five of the more than 100 bombs airdropped on Somalian jihadis in the past two years killed 14 civilians and wounded eight others, including women and children. Amnesty International uncovered compelling evidence that US air strikes killed a total of 14 civilians and injured eight more, in five attacks that may have violated international humanitarian law and could, in some cases, constitute war crimes. Reports of more civilian casualties from other strikes could not be sufficiently corroborated for inclusion in the report. Amnesty reportedly relied on eyewitness testimony, satellite images, and other photographs to reach its conclusion. 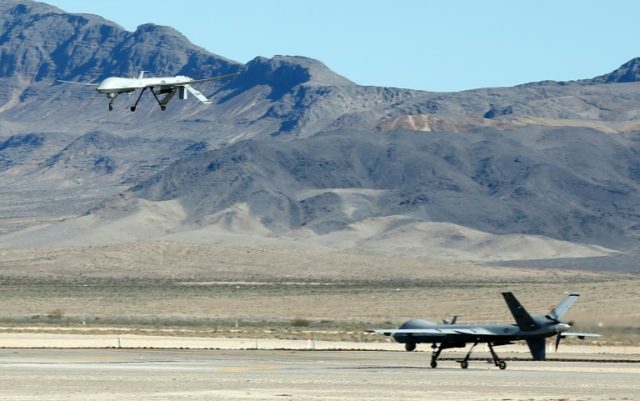 “US forces are known to have carried out a further 76 air strikes in Somalia during the period Amnesty International examined, as well as 24 in the first two months of 2019, so the civilian death toll may well be much higher,” it added. Amnesty attributed the civilian fatalities in part to the proliferation of U.S. airstrikes in Somalia after commander-in-chief Trump signed an Executive Order (EO) declaring parts of the African country an “area of active hostilities”. “US forces carried out 34 strikes in Somalia in the last nine months of 2017 – more than in the entire five years from 2012 to 2016. This increased again in 2018, to 47 strikes; and there have already been 24 in the first two months of 2019 alone,” the human rights group emphasized. Soon after Trump took office, the U.S. military intensified its air campaign against the ruthless al-Shabaab jihadis, killing more than 200 terrorists from the outfit this year alone. Trump’s executive order to ramp up airstrikes against al-Shabaab, one of the largest al-Qaeda branches, ended former President Barack Obama-era restrictions. “It’s very important and very helpful for us to have little more flexibility, a little bit more timeliness, in terms of [the] decision-making process and it’ll allow us to give — in fact, counter ISIS or in our case in Somalia, al-Shabaab,” Gen. Thomas Waldhauser, the AFRICOM chief, proclaimed in March 2017, referring to Trump’s EO. Worryingly, the General also believes that the Executive Order widened the net of potential targets to include virtually any adult male living in villages sympathetic to Al-Shabaab and seen in proximity to known fighters. Such a broad targeting mandate would violate international humanitarian law and lead to unlawful killing of civilians. U.S. airstrikes in Somalia in 2018 yielded the “third record high” annual death toll (326) of suspected al-Shabaab jihadis, NYT learned from Pentagon data. The pace of strikes so far in 2019 — which have already killed 225 terrorists — is on pace to eclipse last year’s record. “The US government must carry out impartial, thorough investigations into credible evidence its rapidly escalating air strikes in Somalia have killed numerous civilians, Amnesty International said in a new report today,” Amnesty declared.